According to the website 38 North, which monitors and tracks North Korean nuclear activity, Punggye-ri consists of four tunnel systems – one of which, the East Portal, has not been used since 2006 after a nuclear test contaminated the tunnel and made it dangerous for people to enter it. North Korean officials claimed on Thursday to have blown up the other three. The North Portal was home to the remaining six nuclear tests in the nation’s history; the other two were reportedly unused. Xinhua, the Chinese government news outlet, states that North Korean officials told reporters the West Portal (Tunnel No. 4) was capable of “super” tests before the explosions this week. It is not clear what officials meant by this. Nor is it clear if the tunnels were actually destroyed. North Korea banned anyone with professional expertise on nuclear weapons development from visiting the site, so none of the reporters had the necessary background knowledge to judge whether these explosions had permanently closed the site. According to CNN’s Will Ripley, the North Koreans also banned Geiger counters at the site or any device that could measure radiation, while assuring the reporters that the site was not contaminated. Ripley’s report from on the ground Thursday also noted the North Koreans made the journalists sit for a briefing with a man identified as the deputy director of the North Korean Nuclear Weapons Research Institute, but they refused to give the reporters his name. The man does appear on camera explaining the layout of Punggye-ri. 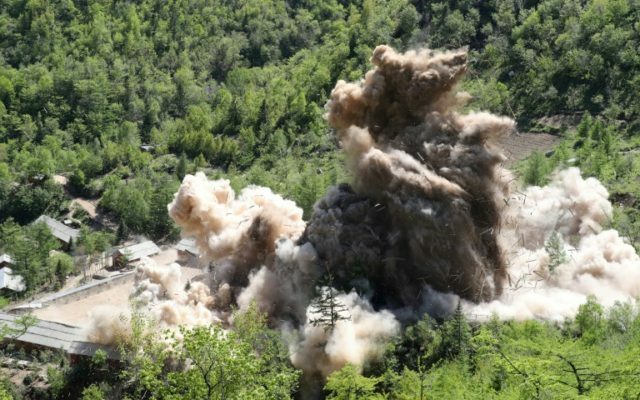 “It has been confirmed that there were neither leakage of radioactive materials nor any adverse impact on the surrounding ecological environment,” North Korea’s Nuclear Weapons Institute said in a statement following the demolition. “The dismantlement of the nuclear test ground is a vivid manifestation of the DPRK government’s fixed peace-loving stand to join in the international aspiration and efforts for total halt to the nuclear test and make positive contribution to building a nuclear free world,” the state-run Korean Central News Agency (KCNA) said in a statement following the explosions. 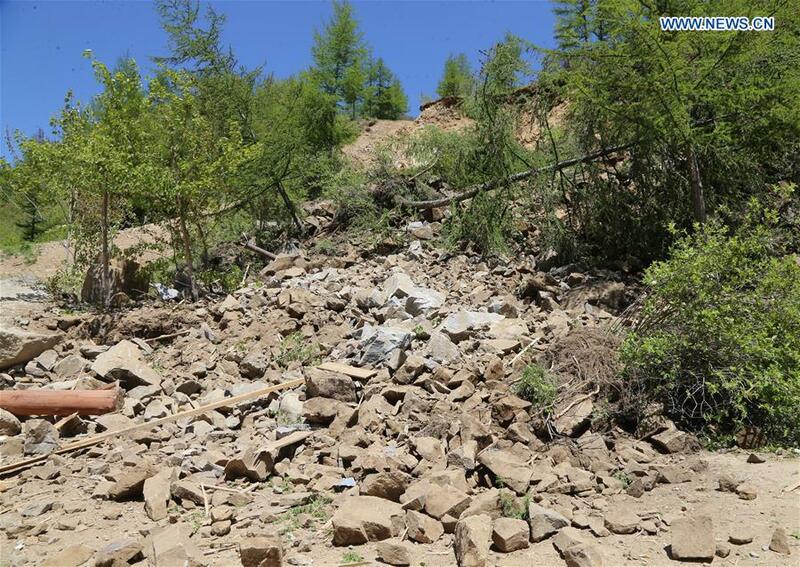 Xinhua published some images of the tunnels after the destruction, which appear to show the tunnels buried in rubble. While North Korea has insisted the destruction of the site is a sign that it is earnestly seeking to make denuclearization of the Korean peninsula possible, reports from the journalists there are quick to specify the government only “appeared” to destroy the site, and it was impossible for them to confirm that Punggye-ri is no longer usable because they are not nuclear weapons experts. Nuclear weapons experts left behind, meanwhile, have expressed outrage that North Korea would blow up the site, destroying key evidence on how far along they had gotten in their ambition to buid a nuclear weapon. If they restart the nuclear weapons program again, the outside world will have no way of identifying how far along they are in the process of building a stable arsenal of nuclear weapons without the context of where they left off last time. Others still protested that whether or not the test site was destroyed on Thursday does not matter, because there is evidence the site may not be functioning, anyway. In October, following North Korea’s sixth nuclear test, a Japanese news outlet reported that inside sources confirmed the collapse of a tunnel at Punggye-ri, killing 200 workers at the site. Multiple studies made after that report was released indicate that any further testing could cause Mount Mantap to implode, sending a plume of radioactive decay flying into the air and likely towards China.